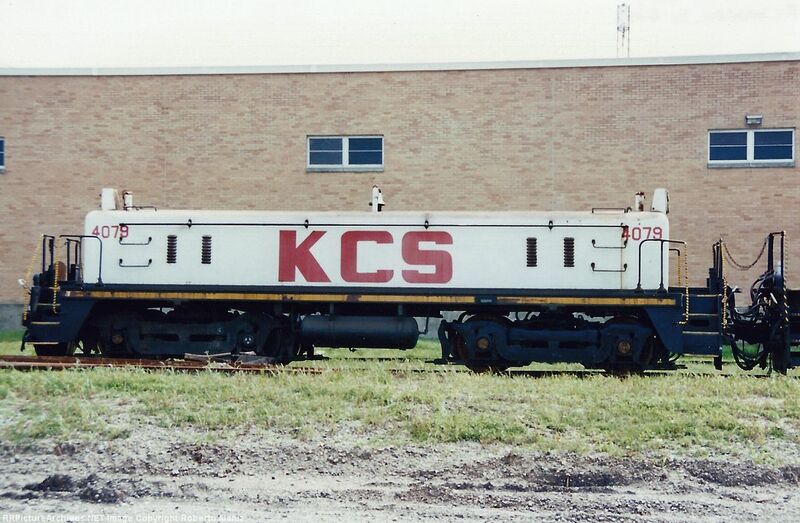 KCS acquired yard slug 4079 from the used locomotive market. Its previous owner had been the Chicago & North Western (ex-BU4), which had rebuilt the booster from TR2B #2000B. Roberto Alaniz took the photo in Dallas, TX on 7 April 1995.